Beverly Hills in Chatsworth! 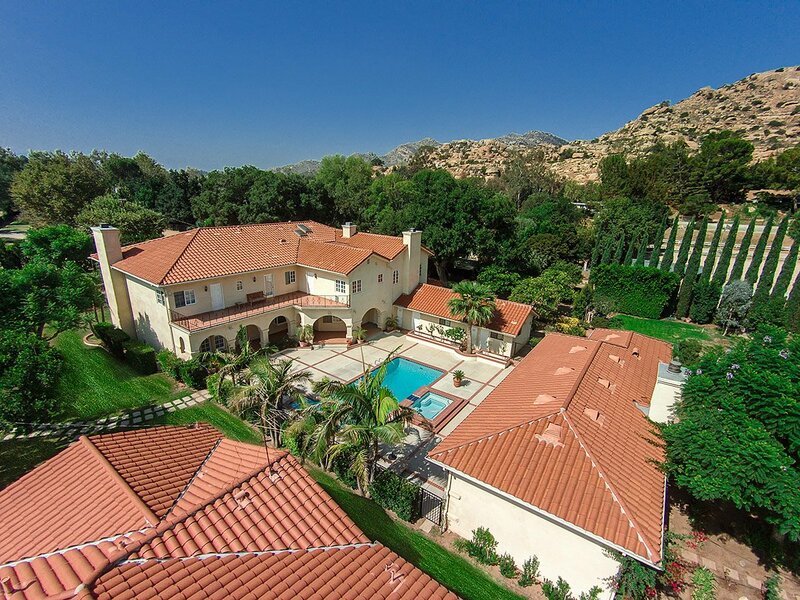 Exquisite Mediterranean Custom Gated Trophy Estate with views on over 2 flat usable acres! 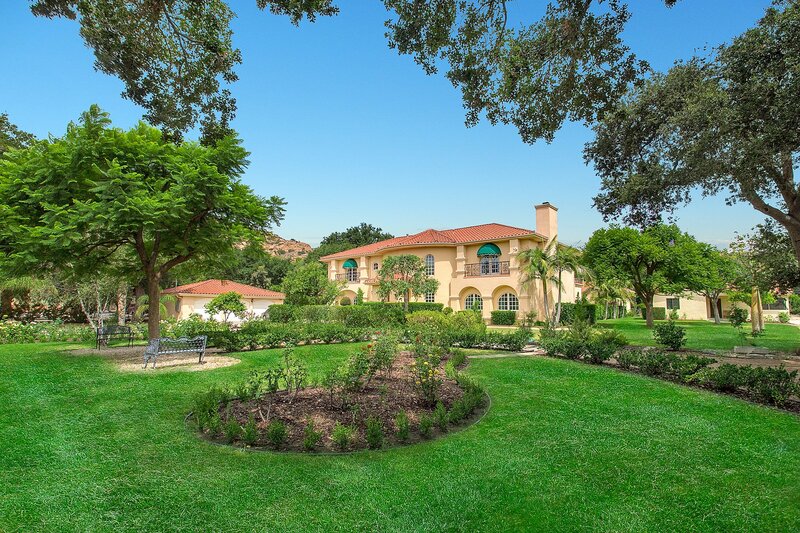 This Magnificent Estate boasts 2 houses, a main Estate approximately 7500 square feet, a separate 1 story 3 bedroom plus office home with separate gate, 3 kitchens, room for horse stables or riding arena. The grounds feature manicured gardens, majestic oaks, huge courtyards with fountains that can accommodate large events, an approximately 1000 square foot under roof cabana with fireplace and barbecue area that overlooks the resort style pool, spa. The estate also has a pool house with kitchen and bathroom. A separate over sized 3 car garage perfect for limousine parking. The main estate features a cathedral ceiling entry with large scale rooms, formal living, formal dining with built ins, kitchen with 4 ovens, huge central island, separate informal dining area, step down enormous family room with huge bar. 5 large bedrooms, each with their own bathroom. The master retreat with it’s volume ceilings enjoys a double sided fireplace with a master lounging area and wet bar, an an enormous built in master closet with two entrances. There is a huge private deck overlooking the pool area that the master enjoys.